Beautiful Lunsford custom home located in stately Maple Ridge Subdivision with 3100 sq. ft. of upgrades. Listed at $289,900! Conveniently located less than 1 mile from I-75. 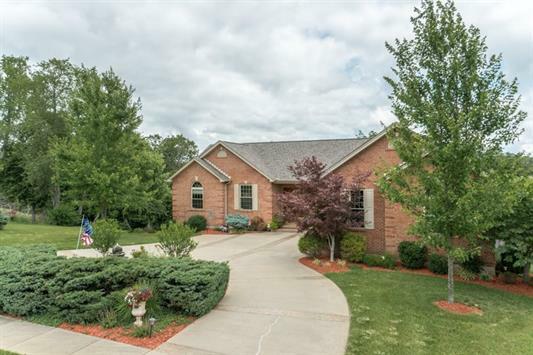 Enjoy the 9 ft. ceilings, hardwood floors throughout the main floor entertaining areas, granite counter tops, central vac, side entry garage, circle drive, and walkout finished basement. Two private decks perfect for entertaining. Click here to see more! Contact Apex Realty Group at (859) 547-6324 or visit www.sellingnorthernkentucky.com to shop for homes. Keller Williams Realty Services. Equal Housing Opportunity.